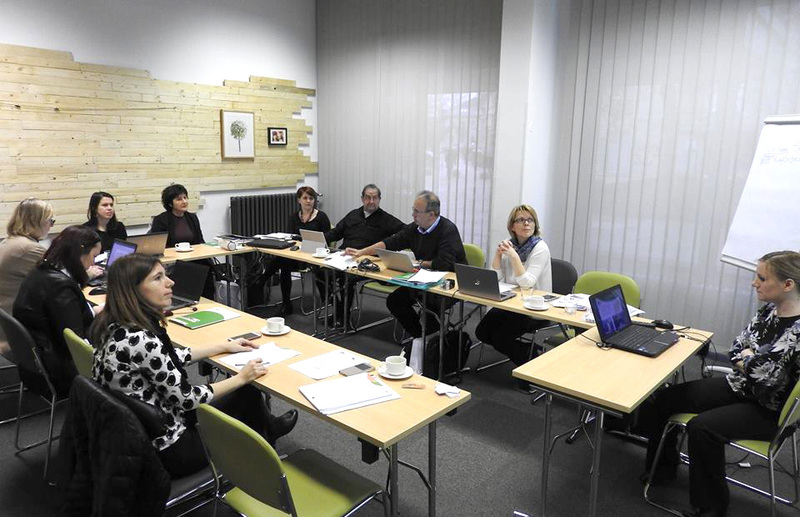 The SkillHubs project consortium met in Ljubljana in January. Prison inmates often have lower levels of basic skills compared to the general population. To address the issue, the SkillHubs project wants to develop empowering and tailored-made learning opportunities for the up-skilling and re-skilling inmates. Levels of education tend to be low amongst the prison population, with many inmates lacking basic skills such as literacy and numeracy. Some countries report as high as 50% of prisoners having literacy levels of level 1 in the National Qualifications Framework – or below. The situation is particularly worrying for inmates who are adults in their active age. Unemployed ex-prison inmates tend to turn to crime more than those who are in employment. At the same time, many inmates have negative previous experiences of education and are likely to have dropped out of school early. Therefore, if the provision of learning opportunities in prison is a necessity, designing it in an empowering and tailored-made way is key to enable inmates to make one step up in their life. Such an approach includes the combination of basic skills with transversal skills such as critical and innovative thinking, entrepreneurial mind-set and creativity. The SkillHubs project aims to develop a transnational counselling and training model that supports prison counsellors and mentors in doing so, in particular when it comes to skills assessment, validation of prior learning and the use innovative tools and methods in prison education. After developing the model, the project partners will test the methods in three countries and, based on the experiences, elaborate recommendations for their national prison education systems across Europe. The project is led by the Trebnje Center for Education and Culture. It is a public organization, established by the Trebnje municipality and composed of two units: the Gallery for naïve art and Adult education center. The Trebnje adult education center offers a comprehensive range of education programmes: from elementary school for adults to secondary education programmes, as well numerous non-formal education programmes (general education, training and courses). In recent years, increasing attention has been given to various projects that develop and encourage lifelong learning among different target groups, one of those being the prison inmates. Apart from EAEA, the consortium includes the EAEA members the Learning and Work Institute, the Slovenian Institute for Adult Education, the international corrections and prison association (ICPA), the University of Malta and the Baia Mare Prison. The SkillHUBS project was kicked off in Ljubljana, Slovenia on the 16th and 17th of January 2018.